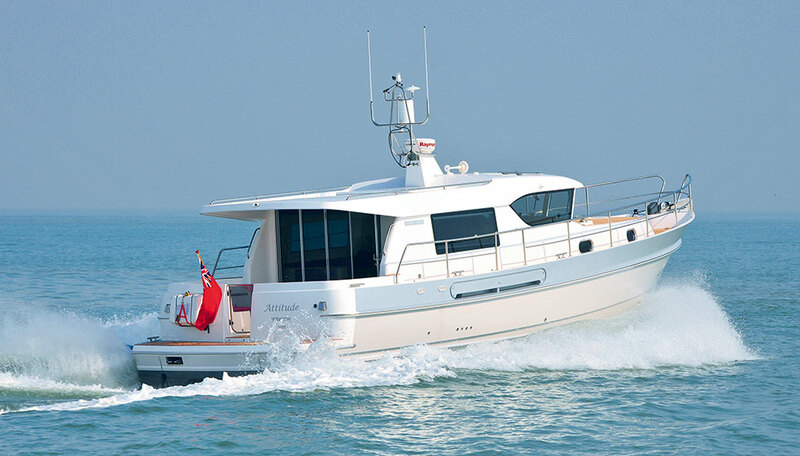 A recent addition to the range, the Hardy 40DS offers contemporary and stylish living and entertaining accommodation, combined with first-class engineering, for all-weather sea and inland cruising. 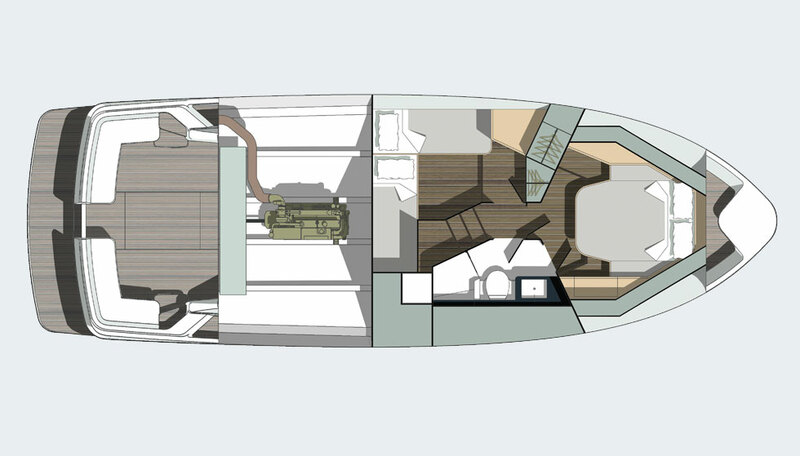 This inspired development of the Hardy 42 hull has superb live-aboard space with a single-level wheelhouse, saloon and cockpit area that is around half her total length. 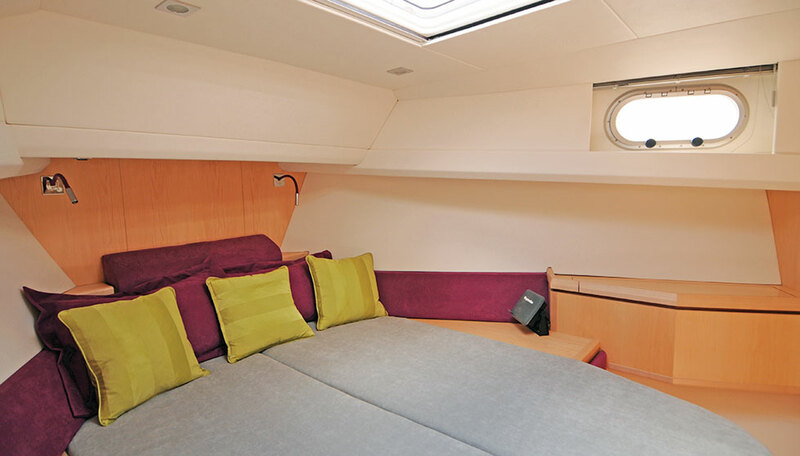 There is also a luxuriously appointed owner’s double cabin, a further twin berthed guest cabin and a very spacious head with stall shower. 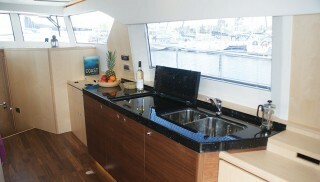 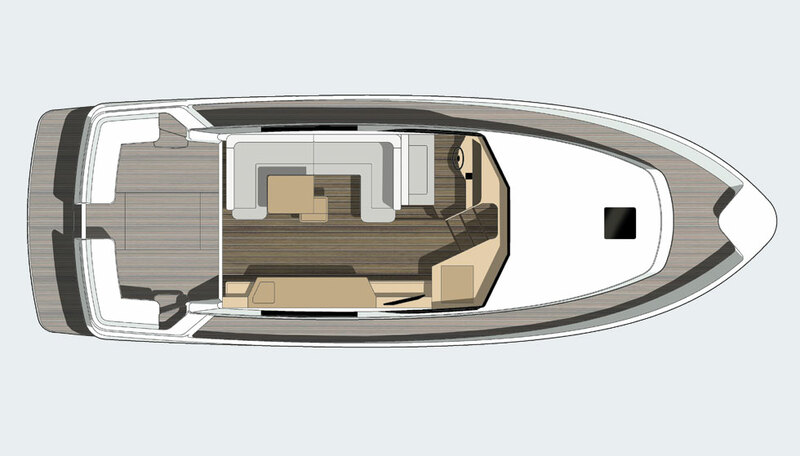 The comprehensively-equipped galley is located in the saloon and can be fitted in such a way that all equipment is concealed when not in use. 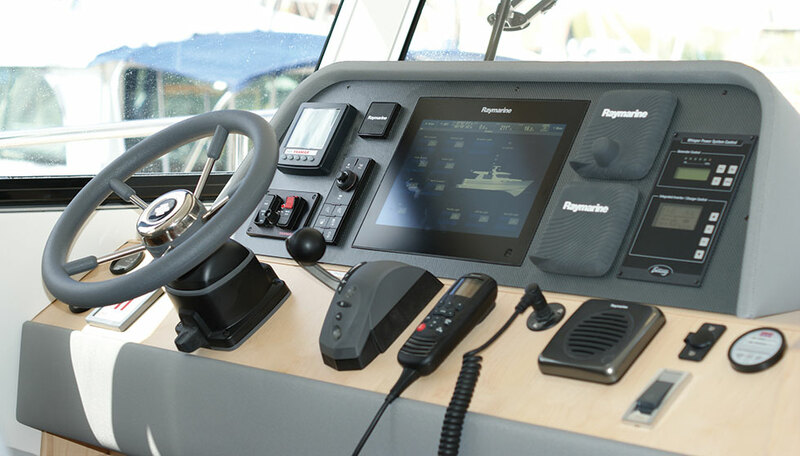 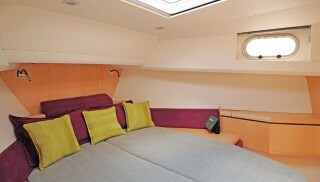 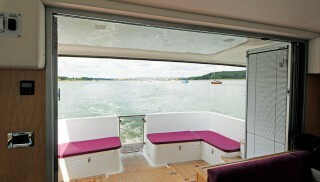 The forward facing wheelhouse windows reduce glare and heat build-up. Outside there is a large bathing platform, formed by the aft two feet of the hull and accessed from her large aft cockpit through a door in the transom. 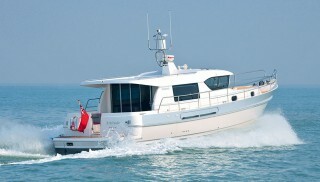 The 40DS is fitted as standard with a single 440hp Yanmar that gives very economical cruising up to around 19 knots. 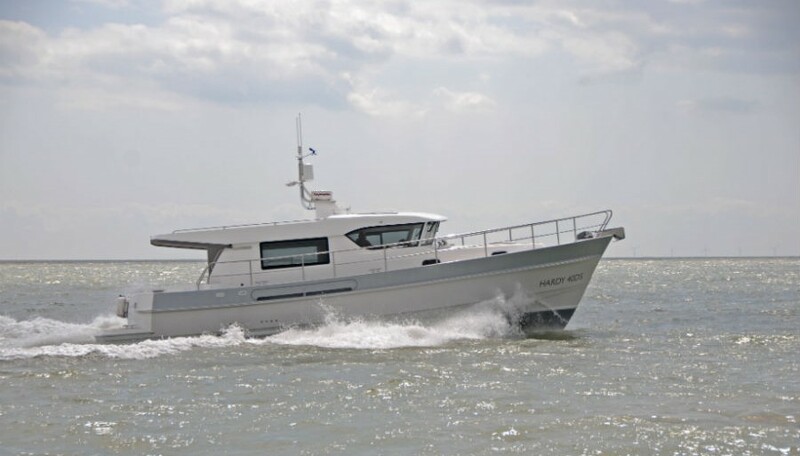 The propeller is well protected by both the keel and a stainless steel strap, running aft from the underside of the keel, on which the rudder is mounted, making it perfect for inland use, yet retaining exceptional sea-keeping attributes. 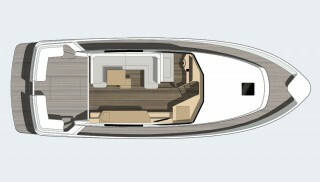 A bow thruster is fitted as standard; optional extras include a stern thruster and a twin-engine installation. 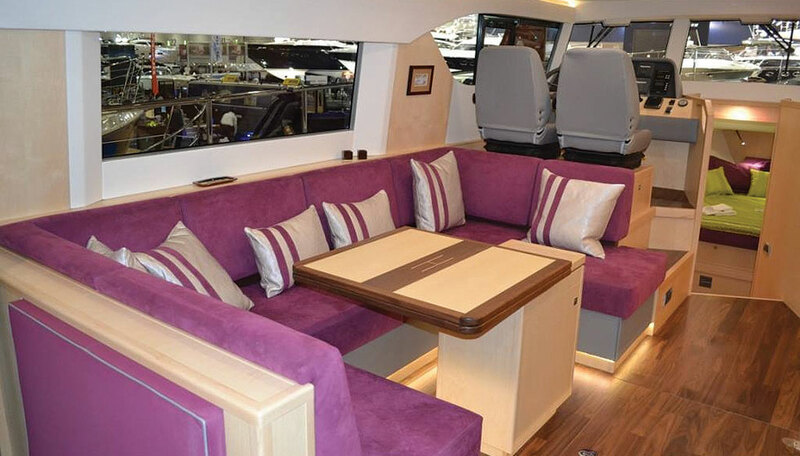 You can choose from a maple and walnut interior for a contemporary look or opt for a more traditional scheme if preferred. 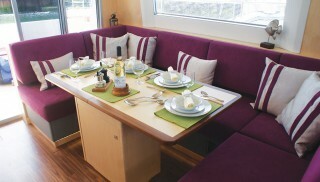 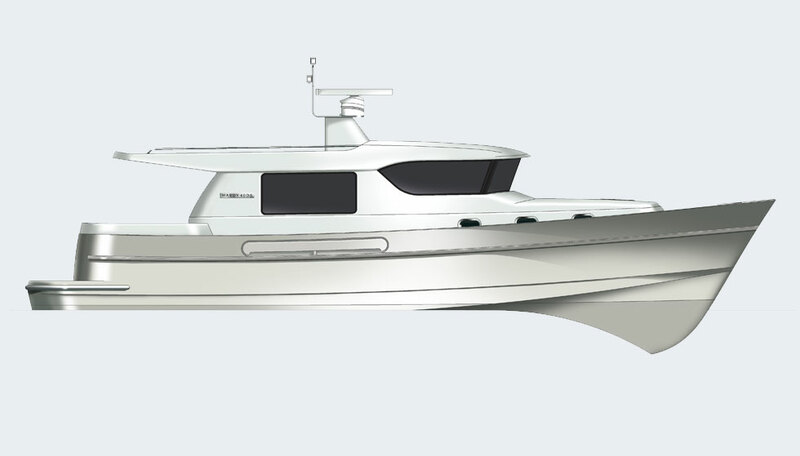 "This is a boat that will satisfy those who seek something elegantly different." 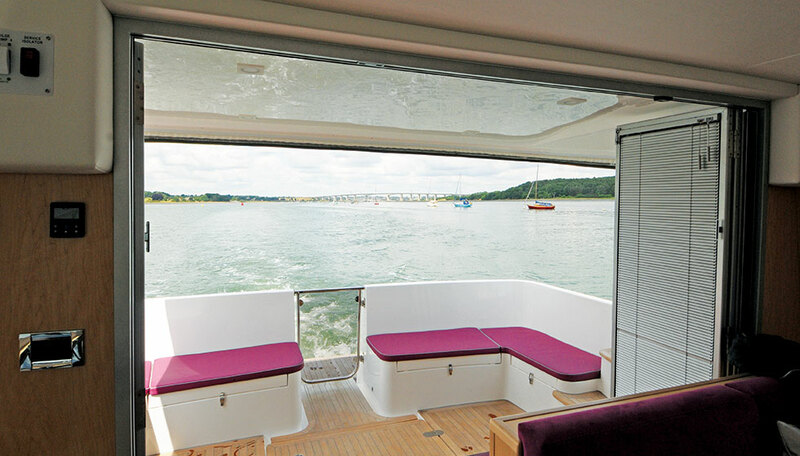 "…looks absolutely a ‘proper boat’ rather than a floating appliance, exactly as a Hardy should." 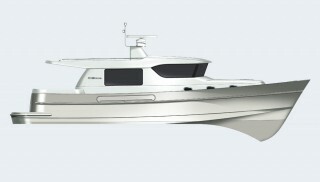 "Traditional sea-keeping heritage meets modern innovation on the new-age Hardy."